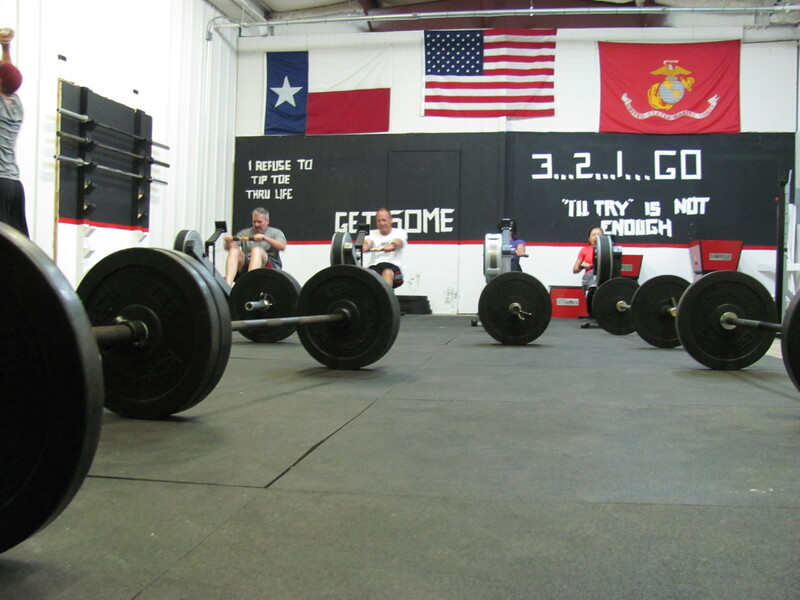 Sometimes the workout is intimidating. Who wins in the end? The athletes must answer to themselves. Everyones’ effort this morning was nothing short of staggering. Great job Silverbacks! my preworkout drink had to come up after this one….that was a really tough one for me with all of that running and rowing…. 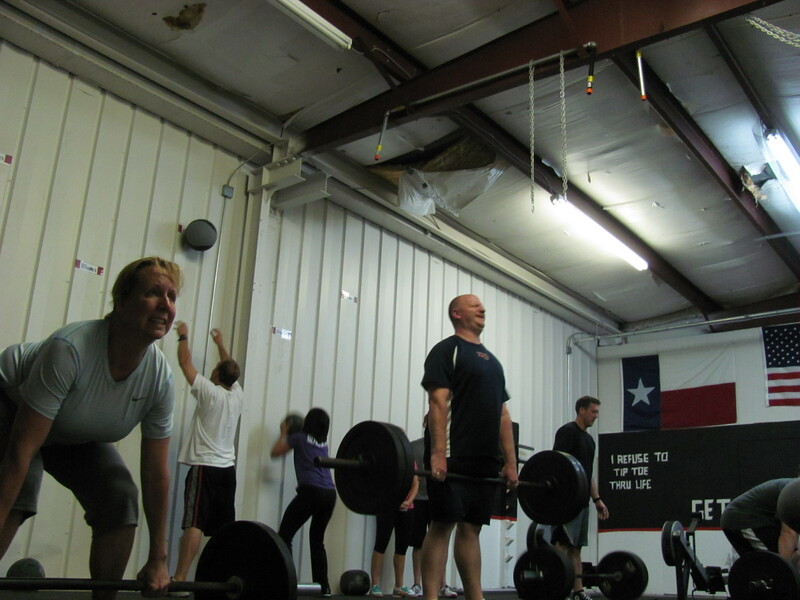 I see that Matt caught a picture of the 5 seconds when my partner Brad was on the wall ball! This morning was intense. A great workout! Christina, You were a great partner this morning, although in the picture the two of us are the only ones not doing anything!! This was tough……7:37 on the rowing part and 7:4? on the running, 135lb DL. Casey – are you and the Girl-illas following any specific paleo program, or just basic protocol? I’m not sure I could fit into my slinky black dress anymore, but I might want to eat like I want to. I just know when RUN and ROW got together, all (HE double hockey sticks) broke lose. I felt like the actor in the Groundhog Day– got killed by CF again. Upon returning from the run, I found I couldn’t lift my 55lb bar. Apparently, In the midst of my running, someone had change the DL to Lift Dead for me……Hummm, I wondered who? Julie – you are hilarious. Please keep these posts coming. Great workout. 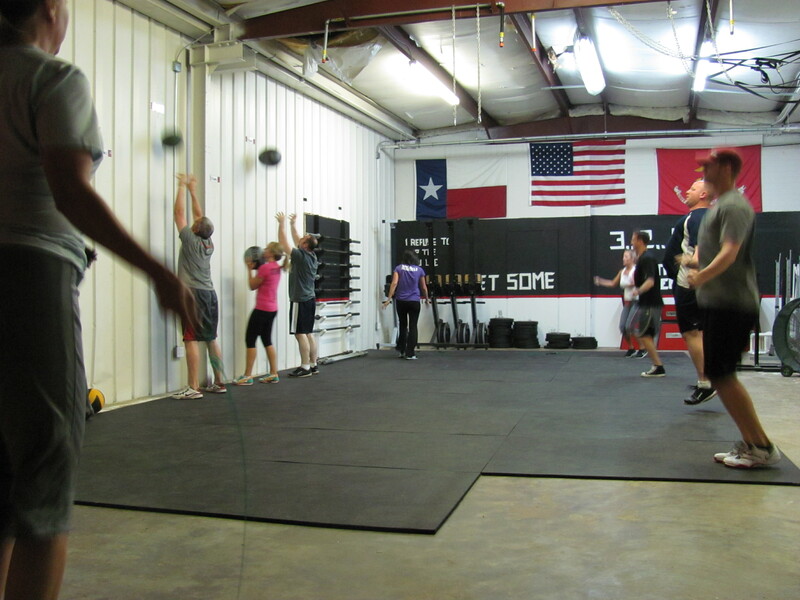 Wall balls / Rowing 7:09 DL (185) / 400m 8:20. Lynn beat me on the 400m. Nice job. JIm who is that guy? I’m positive he has something to do with Ohio State……..right? Lurking and jealous. Yes I’m still taking in oxygen. Julie, you have got to be the funniest person in the silverback nation. Can’t make the “shindig” Christina. Go figure…I’ll be working. He is the greatest college coach ever, the great Woody Hayes.